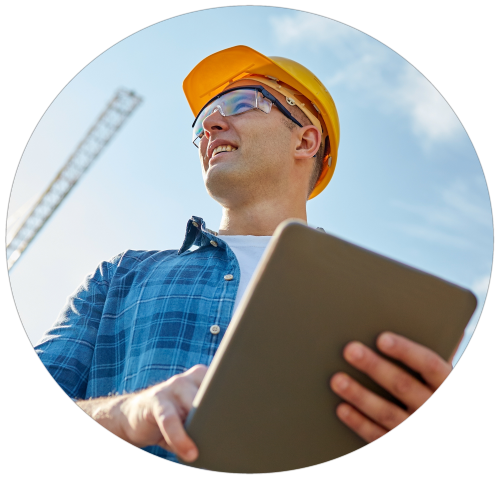 Manage site inspections and record defects on the go using our mobile platform. Load an existing project brief from HFBS, to use as a structured reference for auditing during construction. Record defects, using photos, videos, QR codes and more. Assign defects to project members to fix, then manage the defect through to completion using scheduled inspections. The HFBS defect management module streamlines the process of site inspections and defects management. For more information about the module please contact HFBS technical support. Find out more about the defects management module in this quick demonstration video. The HFBS defect management module allows users to load their existing project brief from HFBS to use as a reference during site inspections. This allows users to rapidly identify inconsistencies between the project brief and construction to date. 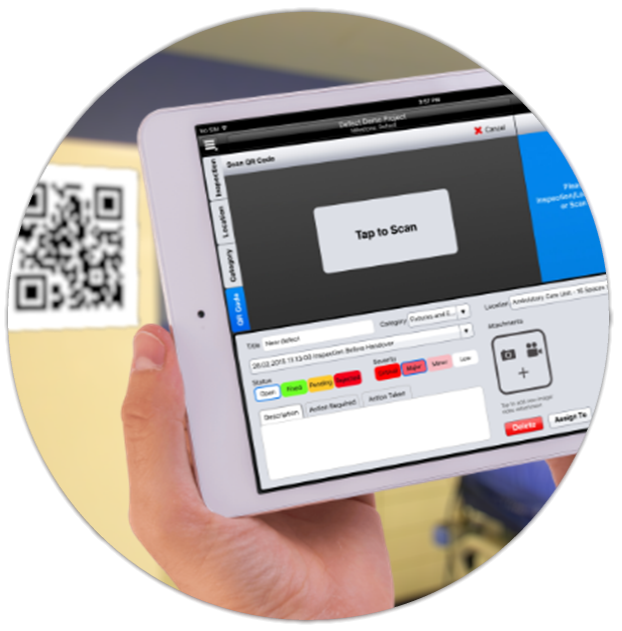 The defect module can record photos, videos, QR codes and more to explain in detail the issues that are observed during inspection. These can be viewed by other users of the application, or compiled into detailed reports that can be sent to contractors. 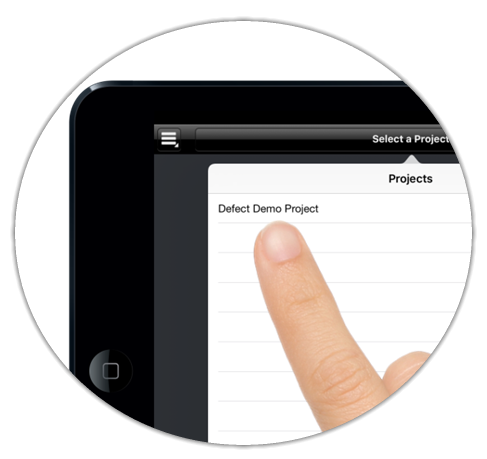 The defects management module allows the site inspector to assign the issue to a contractor or project member. Once this is complete, the application allows you to create an inspection schedule for each of the defects. This communicates to all project members the expectation for inspection and also allows for notes to be taken for each inspection. Using this feature a manager can view the full history of a defect & its path from discovery to resolution. 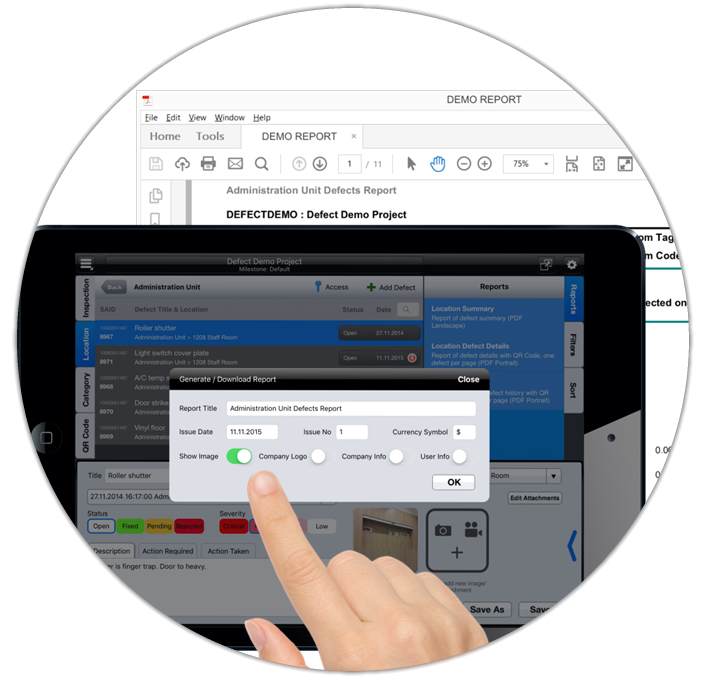 The defect management module can create a range of reports, these can be sent to contractors, used to mark issues on site using QR codes, or for your records. Some of the reports available include: location summary, defect details, and defect history reports. These reports can also be customised to include an issue number, specific currency, and other options. 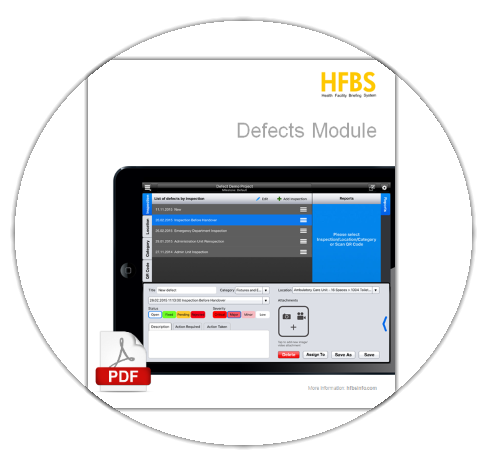 The HFBS defect management module comes with a comprehensive user-guide, download this PDF document to familiarise yourself with the module’s functions. If you require further information please contact HFBS Technical Support.